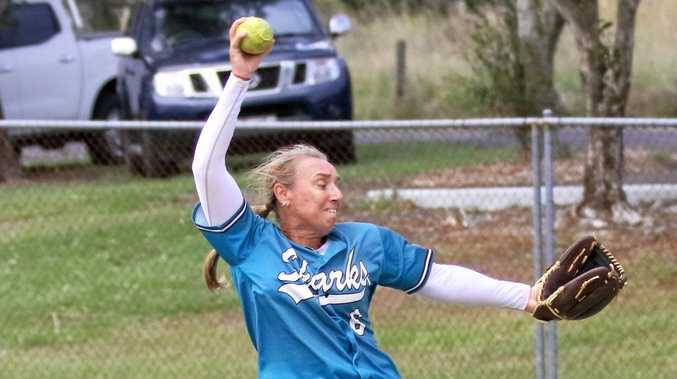 THIS weekend will allow teams one more shot to a grand final berth across all division in Far North Coast softball. 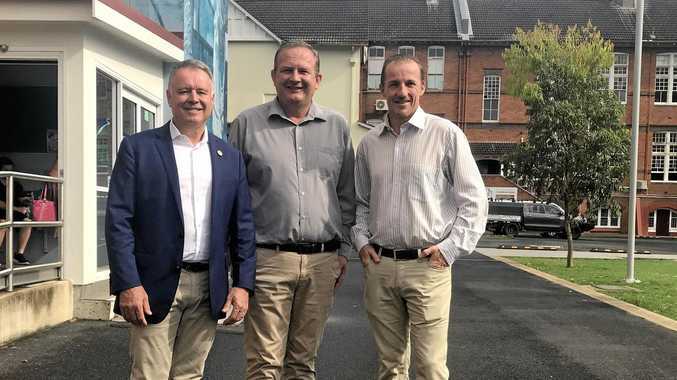 After being washed out last weekend, Ballina Sharks and Rous Hotel Rangers will be looking forward to hitting the diamonds. Ballina have been the form team all season and their charge to the grand final will be headed by pitcher Michelle Lucas and catcher Johanna Presgrave. Lucas' speed and movement of the ball has caused havoc for all batters facing her throughout the season and just when batters connect with the bat, a change of speed comes their way. However, Rangers know what to expect and they have faced Lucas on many occasions. Cherlyn Nilon has lead Rous with the bat, consistently getting on base and with lightening reflexes, this shortstop commends respect. Pitchers Amy and Loris Gordon have worked hard for Rangers during the season and will be calling on their team to be aggressive in the field to contain a confident Ballina side. Goonellabah Gunnas and Dodgers Demons will be putting their best foot forward as they battle to see who will go up against Rous Hotel Warriors in the Division Red grand final. The experience of pivots Belinda Stratford at shortstop and Christine Rose at secondbase have been a highlight in Demons game. Like Demons, Goonellabah has a wealth of experience in their side. But It will be the young guns in their side that will lead with the bat and in the field. Zac Poulton is explosive with the bat and nothing gets past this quality outfielder while Jamila Pursche has taken her game to the next level with consistent batting and her signature diving catches in the field. Meanwhile, It's do or die for Woodburn Wonders and Ballina Hammerheads when they clash in Division Black to see who advances to meet Byron Redsox. Ballina are finding form at the back-end of the competition and should not be taken lightly by the Woodburn side. Youngsters Hannah Graham is pitching strongly to catcher Molly Donald and together with the length and stretch of Julia Lucas at shortstop, who rakes in any wayward balls, has seen Hammerheads knocking over teams that are in their way. But will they meet their match in Wonders who have proven they have the capabilities to reign in many of the fancier sides. Thirdbase Kate Wilcock and firstbase Carol Ryan have been playing well for Woodburn while pitcher Kathy Johns has consistently found her mark. Christina Costello has excelled with the bat and whether she is catching or in the field, she is one player to watch. Workers Mighty Ducks were unlucky last weekend and will be keen to have another shot at Rous Hotel Rascals. They have a strong batting line-up in Cassandra Keough, Kayla Browning, Sharon Wilford and Tyler Moore. Ducks will look to pitcher Tara Clark.